Axelle Despiegelaere, the Belgian World Cup fan whose photo went viral and landed her a modeling deal with L'Oreal, is back to being just like the rest of us again. L'Oreal called off the deal with 17-year-old after they discovered a rather unfortunate Facebook posting. 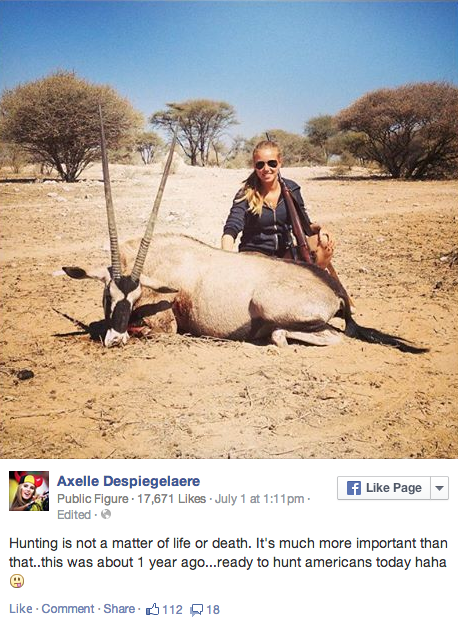 The post shows Despiegelaere sitting next to a dead gazelle she had apparently just hunted -- but it's the caption that is really adding to the problem. It reads: "Hunting is not a matter of life or death. It's much more important than that.. this was about 1 year ago... ready to hunt Americans today haha." Apparently she meant that in reference to her team playing the American team in the World Cup. But the world's largest beauty company was not amused, and neither was the interwebs. L'oreal was bombarded with complaints on social media and it wasn't long before they announced her contract was over. 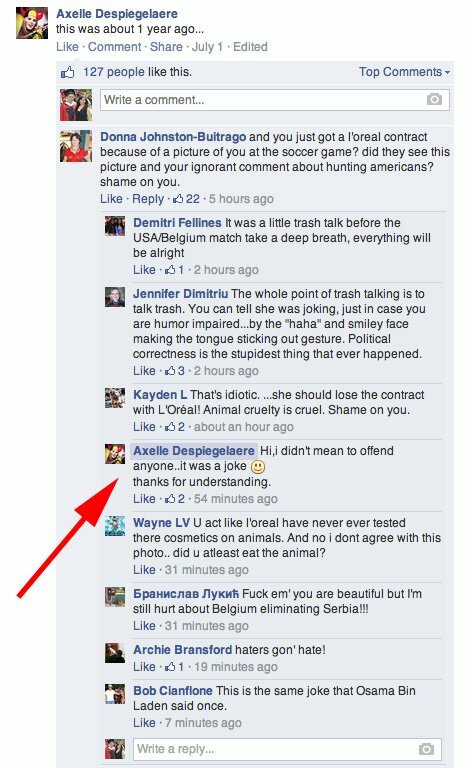 As for the almost model, she took the offending facebook post down and says it was all just a joke! What do you think about her comment and photo? Did L'Oreal make the right choice? Share your thoughts in the comments.